'Melodic Improvising' is a systematic, detailed method to help the intermediate to advanced guitarist create melodies over harmony. 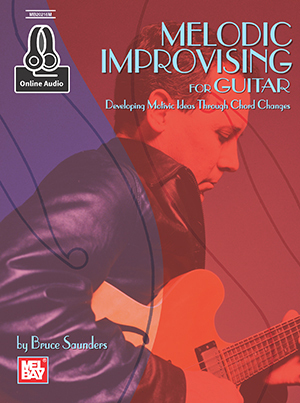 Using techniques developed through his 15 years of teaching improvisation at the world-renowned Berklee College of Music, Bruce Saunders' book teaches guitarists the same techniques used by pianists and brass and woodwind players to create melodic solos; a necessary book for any guitarist wishing to play 'outside the box.' Includes access to online audio.